My old haul thread was all about building my collection and tracking its growth. It was locked due to inactivity a few times as I got busy with other hobbies and strayed from MH. My hauls and snaps are still on Flickr and Facebook, though! Since the nature of my collection is changing, I thought it might be a good idea to make a new brags thread with a new focus: finishing my collection! With the reboot here to stay, I can finally focus on "finishing" my collection. I'm not a completionist, so this isn't about having every doll ever made on my shelf, but more about finding all the odds and ends of dolls that I'm missing (such as Signature Operetta's ring, or Coffin Bean Abbey's drink, etc. ), as well as tracking down the old releases that I missed and still want. Which brings me to my first brag of the thread! While hunting down odds and ends on ebay the other night, I found listings for pieces of Nefera's kit that were surprisingly cheap, so on a whim, I checked to see how much she was selling for these days. I found a BIN listing for a really well-maintained doll, which included her ring. The hardest part of her outfit to find! So I snapped her up! In the end, I did find Azura, along with a handful of other items I'm missing. As soon as they arrive, they'll get a mini-brag all their own! For now, I'll just revel in Nefera's regal arrival. I don't normally worry about character completionism, since there are so many releases, but with Nefera only having three, I'm happy to say that I have caught them all. Congrats! I don't like her character, but man, she makes for a very pretty cool doll! I am so blessedly unfamiliar with MH canon that I can thankfully mostly focus on the aesthetics of the dolls rather than the personalities, and Nefera's kind of stunning! I think the only character whose personality really turns me off buying dolls is Spectra (and that was more her voice in the webisodes I watched than actual personality). But I still have a couple of hers, regardless. Congrats! 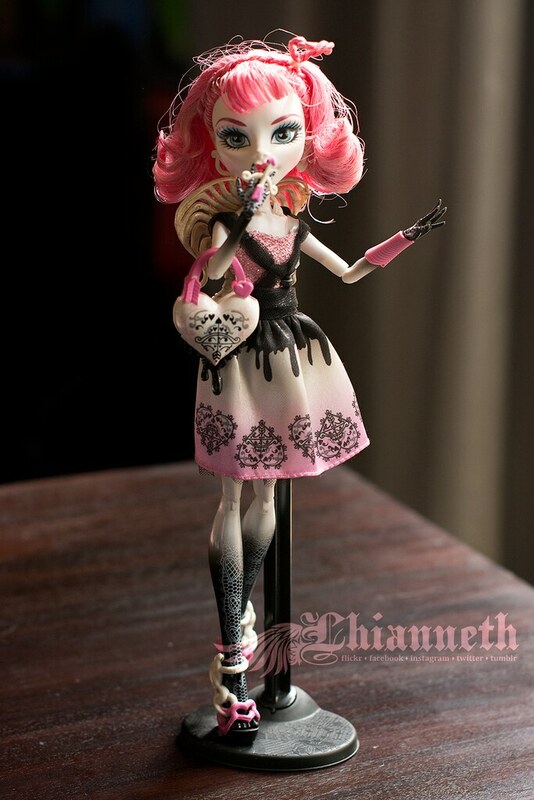 I really hate spectra' doll and face mold to be honest. I mostly look at the doll's design too. I think howleen is my favorite just under abbey and operetta. Howleen is pretty cute and I see her as someone who thinks she's tougher than she really is cx abbey makes me laugh on the webisofes but I fell in love with them before I saw webisodes. I'm not too interested in the rarer dolls like nefera or Cleo. I don't really like how they look either.. I think Cupid would have been better if she had longer hair possibly braided into a heart. I generally agree on the Spectra front. I'm not a great fan of her sculpt. Her Getting Ghostly release is lovely, though! As for Nefera and Cleo, I love their nose and original eye shapes, and all the details in Nefera's outfit. That said, if I hadn't found her for such a good price, with that ring, I'd have been perfectly happy with her two later releases. 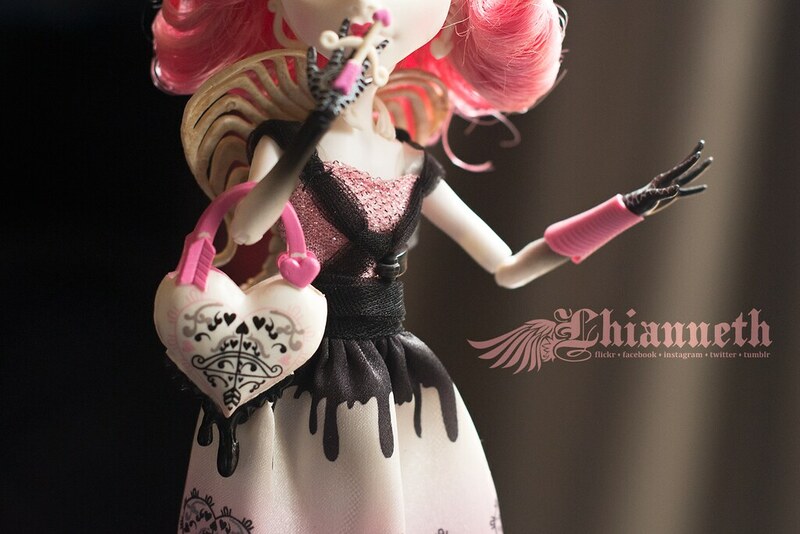 I also am fond of Cupid, because I think she's a better use of Ghoulia's mould than Ghoulia herself. 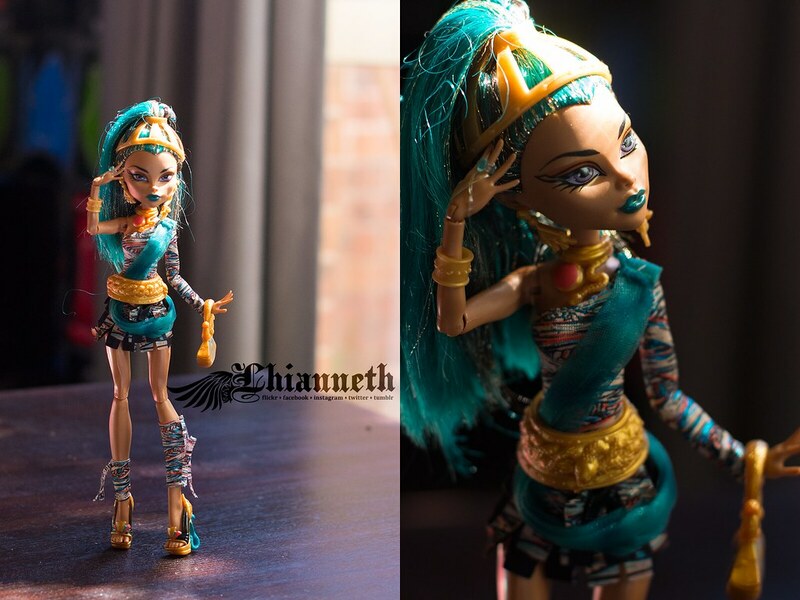 Which is probably some sort of MH blasphemy, but most of Ghoulia's dolls don't do it for me. Cupid, however, with her lace pattern hands and feet, and her cute little curly bob and heart-hair halo, just kills me with cute. Mail time! I received some new-old items today in the mail that I was waiting on! I've finally completed my Signature C.A. Cupid doll, and I thought I'd completed Nefera, but ... well. Signature Release Nefera from the Campus Stroll Line and various pets! So I kind of made a few mistakes in completing Nefera that will probably need some rectifying down the line, but ... She's mostly complete now? She had her ring when I bought her, and I got her purse! But. The purse is scratched because I was too-eager and didn't carefully check photos. And now she has Azura! But. Azura is missing an antenna and I clicked "BIN" before I realised that was the case. Alas. But hey! I now have a handful of other, new pets as well! I already had two Shivers, so this third one may turn into a custom job to go with some NonSigAbbey doll. Same for Chewlian, since he's the second I have. Ah well. They're cuties, regardless, right? Signature Release C.A. Cupid from the Sweet 1600 Release! I'm a couple of days late on these, but I'm slowly, slowly finishing off the dolls I'm missing pieces for! Signature Release Nefera from the Campus Stroll Line - Azura is Finally Here! The "real" Azura (ie: not damaged whoops) is here! Nefera is now complete and I'm so thrilled about it that I could squeal. Doesn't she look so happy to have her friend in her arms at long last? 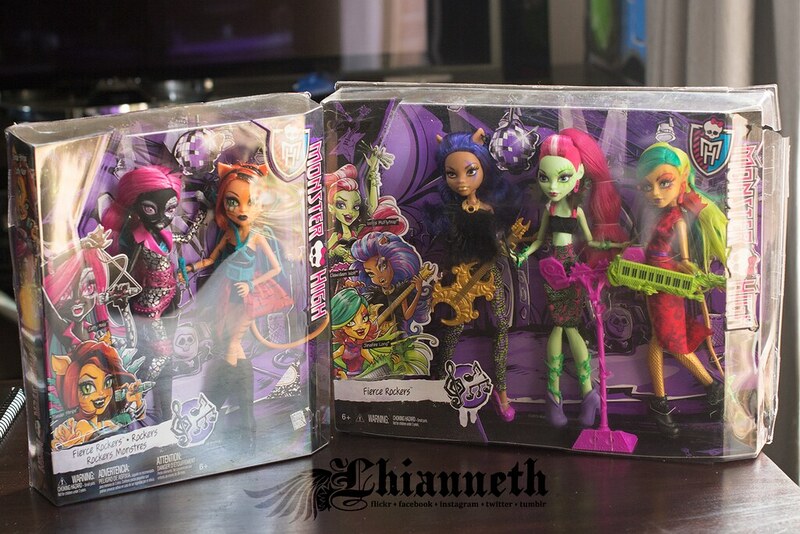 From the same seller, I bought Draculaura's drink for her Skull Shores release! I have no idea what happened to it when I bought the doll (I probably lost it, and will find it next week in a box of doll parts), but she can finally be displayed with it! Cute! Does draculaura have elastic hips? I think I may have gotten her in a lot... but mine doesn't have elastic hips..
Nope! She has the plastic jointed hips. I don't think many releases compared to the total number of dolls used the elastic, ultimately. I only have a handful of older releases that used the elastic band. New doll mail! Woo! These two showed up earlier this week, but I'm sharing them together. I've been considering buying the Art Class dolls for quite a while, but passed on Abbey when I saw her a couple of years ago (much to my regret). I saw her recently for sale with an Amanita, and was really keen for the pair because a) good price and b) I've wanted both this Abbey and an Amanita to customise, so I went for it! The seller was super generous and included two stands despite the listing not mentioning them, and I'm so thrilled! Abbey is now up on my shelf with her other selves, looking fabulous! I've been trying to get the last few pre-reboot Toraleis for a while now. 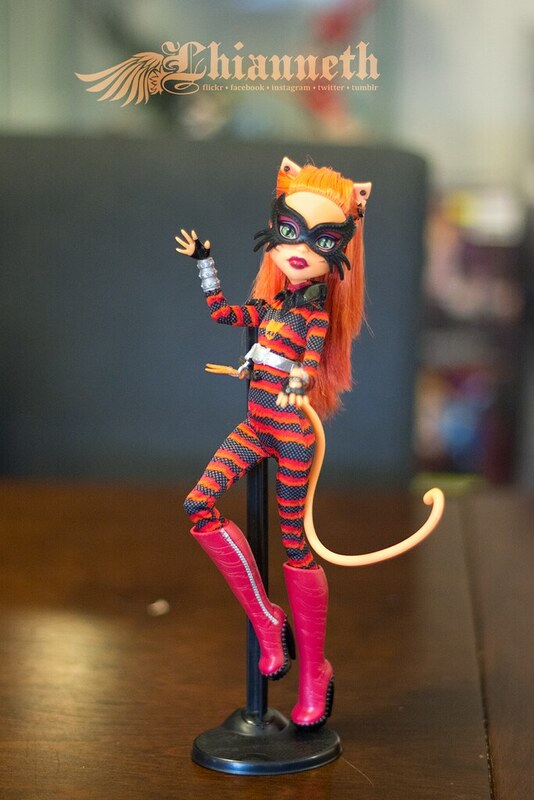 I'd almost given up on Cat Tastrophe, but she popped up the other day for a really good price on eBay from an Australian seller, and I jumped at it. Every other chance I've had, there was crazy international shipping costs on top, so I'm thrilled to finally have her, and not have had to break the bank to get her! They're here, they're here! I've been waiting for them impatiently since I ordered, and I am thrilled that they've finally arrived! My cats are thrilled, too. Really. Freyja won't stop licking the boxes. Unfortunately, I can't open them until I find some scissors, which have been packed up while we renovate our kitchen. I guess these ghouls will be stuck in their boxes until next week. Ugh. I can't wait!